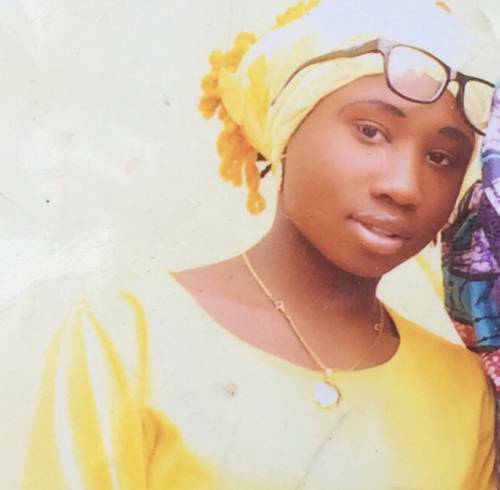 Representatives of Chibok in Borno and Dapchi in Yobe on Sunday sought spiritual help at The Synagogue, the Church of All Nations, at Ikotun-Egbe, Lagos to pray for the release of Leah Sharibu and other students kidnapped by Boko Haram. The representatives who carried several placards told the General Overseer, Prophet Temitope Joshua, that they were at The Synagogue because they had exhausted all human efforts to get the students released. A spokesman of the representatives told Prophet Joshua that the father of Leah Sharibu could not come with them because he had been bedridden by stroke, as a result of the kidnap of her daughter. He said they had been watching his ministry through Emmanuel Television (the church’s cable TV) and all the help he had rendered to the sick and the less privileged, hence their joint visit to plead for intercessory prayers for the release of the students. The spokesman said they had no doubt that with the approval of Jesus Christ, the Son of the Living God could trigger the release of the remaining students kidnapped in 2014 and 2018. Prophet Joshua told them that there was nothing impossible in the sight of the Creator of Heaven and Earth. He urged the congregation and viewers of Emmanuel Television worldwide to pray and fast on Tuesday, Wednesday and Friday, this week, for the release of the remaining students. He said that “there is nothing God cannot do” and urged all to see the prayer and fasting on the mentioned days as an assignment. NAN reports that some of the placards read: Please intercede on our behalf for the release of Leah Sharibu; The remaining 112 students kidnapped in Chibok are yet to be released, please help, among others. On April 14, 2014, 276 female students were kidnapped from the Government Secondary School, Chibok in Borno State. Responsibility for the kidnappings was claimed by Boko Haram, an extremist terrorist organization based in northeastern Nigeria. Since 2014, 164 of the students had regained their freedom, while 112 are still held by Boko Haram. Also on Feb. 19, 2018, no fewer than 110 schoolgirls were kidnapped by the Boko Haram terrorist group from the Government Girls’ Science and Technical College (GGSTC), Dapchi, located in Bulabulin, Yunusari Local Government area of Yobe State.